Fellows International’s newly improved website went live in September and introduced a function which enables visitors to purchase a preliminary risk assessment online in 3 simple steps. The function has been utilised by new and previous clients since its launch, however has been recently updated to further suit consumer needs. A preliminary risk assessment is the first step in mitigating risks posed by Unexploded Ordnance [UXO] and is usually undertaken at the very start of a project. The preliminary risk assessment is a collation of information, gathered from a variety of sources, which assesses the likelihood of UXO hazard’s occurring on site. This information then determines whether further actions should be taken to minimise any risk identified. Fellows recognised the need for an efficient and time-effective ordering process therefore engaged with their partners at Jellyfish Livewire to create a simple and self-explanatory format. The ordering process is split into three steps, which could take as little as five minutes to complete and submit. Steps 2 and 3 simply require personal and company details, along with payment information. When the order is placed it is automatically sent through to Fellows’ in-house Researchers who aim to complete and deliver all risk assessments within 3 working days. 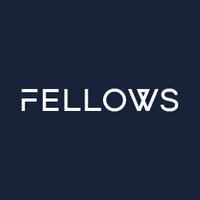 Upon completion, the risk assessment is uploaded to the Fellows International website for private viewing- an email will be distributed with instructions on how to view and download it. It really is as simple as that! For many sites in the UK a preliminary risk assessment is all that’s required so save valuable time and order yours with Fellows International Limited. For sites with a more complicated UXO history Fellows can supply detailed risk assessments- if you are unsure which risk assessment suits your site, please contact us to discuss your requirements.